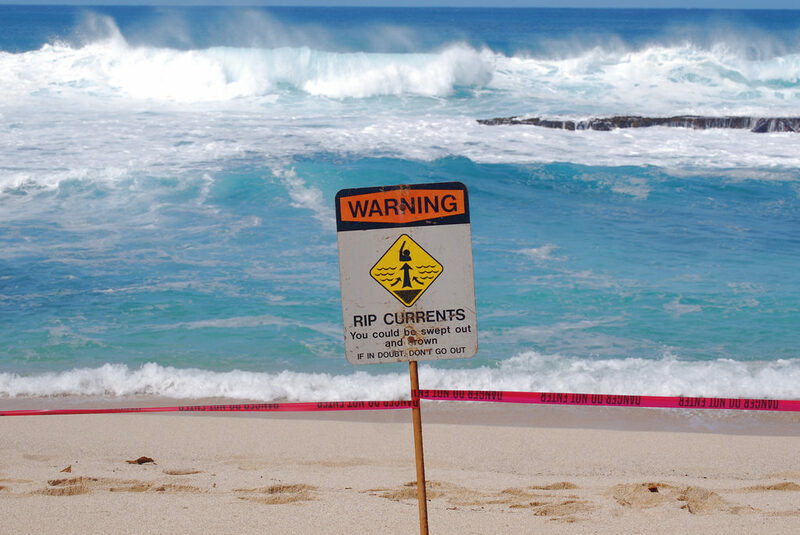 Rips kill more ocean users around the world than any other hazard, but could the conventional wisdom on how to react to them be completely wrong? It’s an age old adage that most ocean users swear by; if you get caught in a rip sucking you out to sea, simply swim or paddle parallel to the beach and soon you’ll find yourself released from its grip. It’s advice doled out by water safety experts and information boards at thousands of beaches around the world, however some scientists are claiming it may not actually be the most effective way to escape the throes of a strong current. The instigator of this new school of thought is Jamie MacMahan, a professor of oceanography and rip current expert at the Naval Postgraduate School in Monterey, California. MacMahan first began to question the ubiquitous conventional wisdom around escaping a rip during the filming of a safety video with the National Oceanic and Atmospheric Organisation, where he had volunteered to be taken by a current. As he began swimming parallel to the beach, in both directions (presumably for multiple takes) he noticed that it was much easier swimming in one direction than the other. Ever since that day MacMahan has been researching the exact nature of nearshore rip currents, by dropping both himself and a GPS device into them in the U.S., England, and France. He says that his findings have proved contrary to many of the existing studies, so much so in fact, he thinks it’s time to offer a new set of safety guidelines. 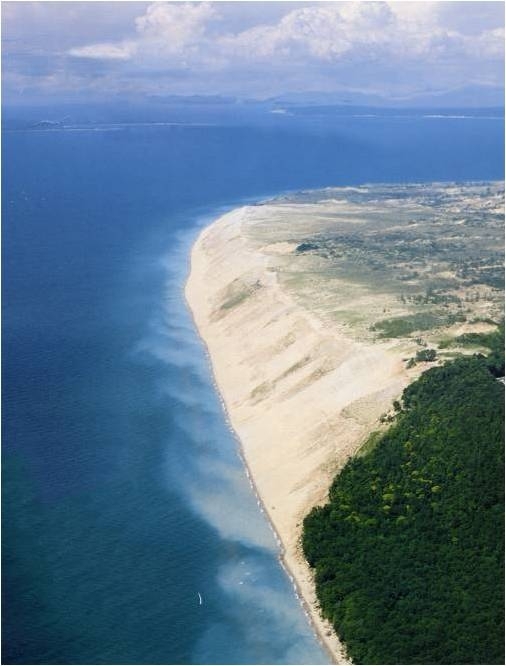 80% to 90% of the rips he has studied apparently flow in large circles, rather than straight lines out to sea, accordingly, when trying to swim out of the rip, swimmers still run the risk of trying to swim against it, as it’s sometimes hard to tell whether it is circulating left or right. MacMahan’s advice is that simply relaxing and letting the rip carry you may be a much safer option, as exhaustion from fighting against a rip is the main precursor to drowning in such situations. “If you can relax—and it’s a long time, for maybe three minutes—you’re generally going to float back to the beach,” he summarised. However his findings and subsequent advice have divided the field of rip current experts around the world and particularly in the US. Chris Brewster, of the International Life Saving Federation’s chief in the U.S. is one such expert who is unhappy to see the advice gaining momentum. “You have to understand: Jamie looks at it from a very scientific perspective.” he explained in an interview with OutsideOnline. “The logical thing, in his view, is try floating and see if that works.” However Brewster argues that it’s nearly impossible to think logically when you’re being dragged out to sea at an alarming rate and every fibre of your being is telling you to swim. “Are you going to make that very, shall we say ‘dispassionate’ decision, when you think you might die?” he said. However McMahan counters that the existing literature instils a sense of panic around the idea of getting caught in a rip, encouraging swimmers to overexert themselves, which of course only makes matters worse. He claims his strategy of encouraging people to relax and drift, at least until they work out which way the rip is taking them, is much more productive. Whilst there has been further research to back up MacMahan’s claim that the majority of rips circulate, additional US based research has also shown that many stop doing so after a few laps, depositing the GPS devices used out to sea, past the breaking waves. In Australia, where rips kill more people than bushfires, floods, cyclones, and sharks combined, the country’s main life saving group has worked closely with a professor at the University of New South Wales named Rob Brander to develop its guidelines. Brander has been conducting research around rip-currents for many years, interviewing dozens of survivors and using a GPS. His conclusion is that there is no one size fits all piece of advice for water users. “Everything we’ve done points to the fact that there’s not one single message that works. Sometimes swimming parallel is great, sometimes it doesn’t work. Same for floating.” he explained to OutsideOnline. Accordingly, Surf Life Saving Australia have updated their advice and their lifeguards now recommend a variety of strategies, combining the ‘circulation’ findings with the traditionally held belief about rips. If you’re not a very strong swimmer, the organisation says, stay afloat, stay calm and signal for help, if you are, try swimming parallel to the beach, towards breaking waves. In the US, policy makers remain staunch in their position, at least for the time being, that swimming parallel is the best option and while there’s still disagreement within the scientific community, we can expect the advice around the world to remain equally polarised.